What are Rummy Card Game Marketing Statistics? What are Rummy Card Game Marketing Statistics? Online rummy for money is a game that requires you to form a group of matching cards of the same rank or sequence. The first and primary goal of this type of card game is forming melds particular to their suits and ranks. The genuine form of Rummy is called Sai rummy or what is known as basic rummy, which was originated back in the age of 18th century. Though still, it’s a debate on the exact origination of the Rummy games, some say it’s inspired from a Mexican Game named Conquian while the other says it has come from a Chinese game called Khanhoo. Many people also believe it to be a sort of Mahjong game. Rummy Game has lots of variants, which are originated from different parts of the world, like the Rummy 500, Classic Indian Rummy, Gin Rummy, Kalooki, etc. Furthermore, Gin and Indian are two of the most famous variants of Rummy game these days with their own set of rummy rules. 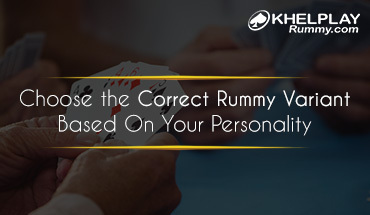 Since Rummy has been declared to be a game of skill in most countries, it doesn’t come under any gambling laws. Though Rummy games didn’t get much of media appearance when compared to the Poker game, it is believed to be one of the most favorite card games in India. Indian continent is not only limited to the Offline Rummy games, but it also hosts numerous amount of online rummy for money, allowing players to sit and play a rummy game from their home. The central market of the Rummy game revolves around the Asian Countries, but still, there are many players from the US and European Countries as well. India: India never leaves a single stone unturned when it comes to region wise varying rules for playing rummy. The country has its version of Rummy Game called as the Classic Indian Rummy. India serves around 76 percent of the total traffic. More than one lakh players play rummy games concurrently at different online portals. Many notable pro players in the country support and promote this skill-based game. Indian Portals also organize various Rummy tournaments for encouraging the players. Around 63 percent of the total rummy players favor the real cash games and the rest 37 percent like to stick to the game just for funsies. China: China is the 2nd largest country in the world. Though the country is known explicitly for the awards that it accumulates in the international games for Gymnastics, Swimming, and many other such games, many are not aware of the fact that it is one of the leading countries that is believed to be the place of beginning of the Rummy games. In fact, the land of dragons also has its versions of the rummy game, known as the Shanghai Rummy and Mahjong Rummy. Among the total traffic, the country serves around 7 percent, which almost makes about 10,000 players. Though people from China mainly chooses the Offline games, many people prefer to sit and enjoy the games online. Europe is believed to be the birthplace of the western culture. European countries make almost around 15 percent of the total Rummy player population. The Europeans like to follow the games of Rummy 500, Gin Rummy, Kalooki, etc. Rome contains the most significant community of rummy lovers. Almost around 93 percent of the total population of the European Rummy arises from the Rome, and rest from the other countries. Gin Rummy is known to be the most played game in Rome, which is enjoyed with a sip of delicious old vine juice and a good slice of Pizza Bianca.